MADRID (AP) — A Spanish Supreme Court judge on Thursday dropped his extradition requests for six Catalan separatist politicians wanted on rebellion charges, including ex-regional president Carles Puigdemont. 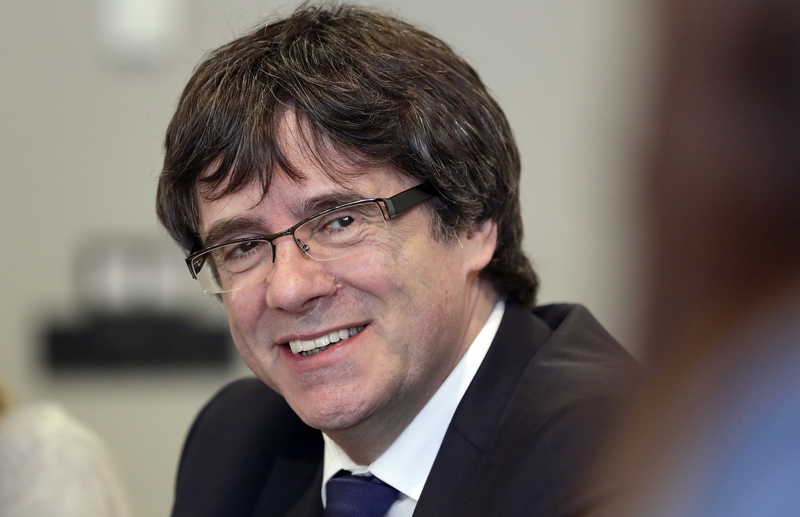 Puigdemont fled to Belgium after an Oct. 1 referendum to avoid arrest and then eventually traveled to Germany, where he was taken into custody in March. The moves came after a German court recently ruled Puigdemont couldn’t be sent back to Spain for rebellion, only for misuse of public funds. Rebellion carries a maximum sentence of 30 years in prison in Spain, while misuse of public funds is a lesser charge that carries up to 12 years. Judge Pablo Llarena said in a decision published Thursday that he’s revoking the international arrest warrants against the six, in what the Catalan separatist movement was likely to regard as a major victory against Spain’s central authorities. The charges are in connection with the Catalan regional government’s unauthorized referendum on independence from Spain and a subsequent unilateral declaration of independence by the separatist-controlled regional parliament. Llarena was scathing about the German court’s decision, describing it as “a lack of commitment” in pursuing the fugitives. If Puigdemont and the others were extradited only on charges of embezzlement, they would only be able to stand trial in Spain on those charges. Llarena wants Puigdemont and his separatist allies who also fled the country to face charges of rebellion and sedition, as well as misuse of public funds. If the six separatists return to Spain voluntarily, they would still face rebellion and sedition charges.